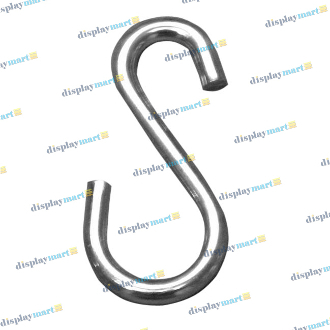 Easily hang product from fixtures and displays by using the "S" hooks found on DisplayMart.com. The smaller 2" s-hooks work great for hanging merchandise from grid panels and baskets, while the larger 4" s-hooks can be used to display from round tubing! Both sizes have a chrome finish to compliment your fixtures and decor.